Professional Scrum Foundations™ (PSF) is a two-day course that provides the foundational knowledge needed to work with Scrum in a highly practical way. The course is a combination of instruction and team-based exercises where students experience how the Scrum framework improves product development efforts. The course also includes two free attempts (details below) at the globally recognized Professional Scrum Master I (PSM I) certification exam. Over the two days, students are introduced to the mechanics of Scrum, gaining insights into overcoming complexity, dealing with team-based collaboration and self-organization as essential elements in mastering Scrum. Students work together as a team in a series of Sprints to build a software application, thereby facing real-life problems. The mechanics, roles and principles of Scrum are leveraged during the exercises. From its emphasis on the practical application of Scrum, the course exposes common missteps and misunderstandings, so students grow a higher awareness of the associated symptoms. The course provides guidance to help keep Scrum habits healthy while equipping students with the tools needed to avoid going off track. Professional Scrum Foundations is excellent training for teams and anyone wanting to experience the way of working in Scrum. The course also provides the foundation of knowledge needed for role-focused training for Product Owners, Scrum Masters and Developers. All participants completing the Professional Scrum Foundations course will receive a password to attempt the Professional Scrum Master I (PSM I) assessment. If you attempt the PSM I assessment within 14 days and do not score at least 85%, you will be granted a second attempt at no additional cost. The Professional Scrum Foundations course is the perfect introduction, reboot or refresher to Scrum. This course is for teams or anyone wanting to experience the Scrum way of working. PSF provides the base knowledge needed for anyone interested in taking role-focused trainings. We also suggest that you read through the PSF Subject Areas. Students of Scrum.org courses are able to claim Project Management Institute (PMI) PDU credit: 14 PDUs after attending a two-day Professional Scrum Foundations (PSF) course. Please note that PMI PDUs are earned for course attendance and not for passing a Scrum.org assessment. Students can claim PDUs under PMI's "Education courses provided by other third-party providers” category. You can claim your PDUs online at https://ccrs.pmi.org. Scrum.org provides the highest quality Scrum training, training materials and certified Professional Scrum Trainers (PSTs) to teach them. Our training materials are created and maintained by Scrum co-creator Ken Schwaber, Scrum.org and the PST community members who teach the courses, helping to ensure that they are in tune with what’s happening in software development organizations and are always up-to-date with the latest practices. 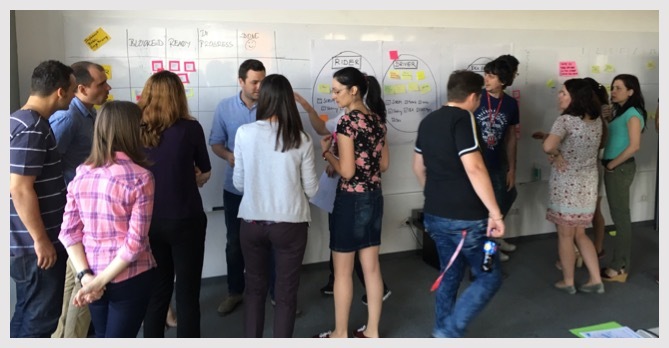 While Professional Scrum Trainers bring their own style and experience to the courses, they use the same materials so that students are learning from the same content regardless of who teaches the course or where it is taught around the world. Read more about the differences.